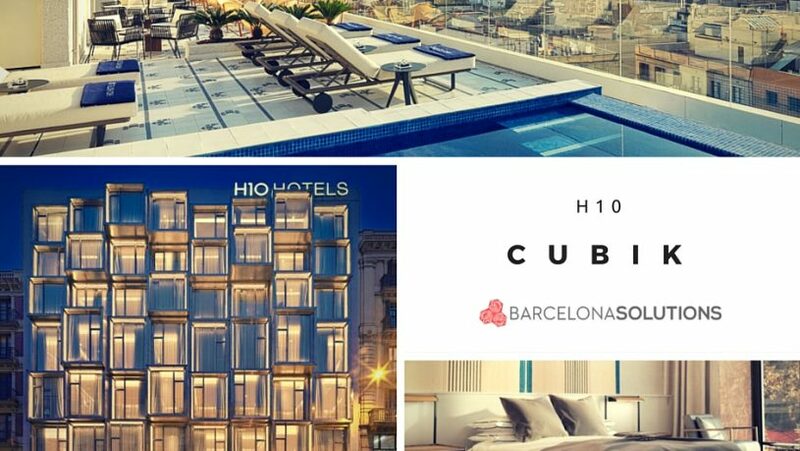 H10 Cubik is a four star superior hotel offering first-class service, modern convenience and great breakfasts – and all within walking distance of some of Barcelona’s key attractions. H10 Cubik is one of thirteen H10 hotels in Barcelona. Established in the 1980s, H10 is Spain’s eighth largest hotel company, specialising in four and five star accommodation. 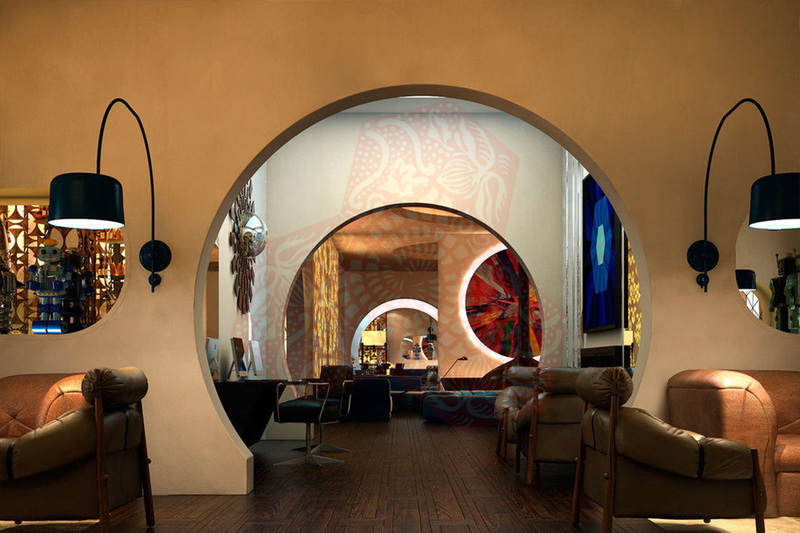 The company’s hotels tend to be highly rated on traveller review sites, with many awards from popular sites such as TripAdvisor, Hotels.com and Conde Nast Traveller. For example, in 2015, the chain earned TripAdvisor Certificates of Excellence for no less than 23 of its hotels. The H10 Cubik’s location is great for visitors to Barcelona. It’s just 200m from Plaza Catalunya, where the airport bus and tourist bus service meet, and many of the main sights are in easy walking distance. It’s close to the cathedral and Las Ramblas, with shopping, tapas and nightlife a stone’s throw away. Hotel chains can conjure up visions of bland, interchangeable interiors, with all the charm of a shoebox. Happily, H10 Cubik couldn’t be further away from that. The interior design of the H10 Cubik was masterminded by Lázaro Rosa-Violán, the creative genius responsible for the remarkable El Nacional Restaurant Emporium. Fans of Lázaro’s work will see some familiar themes in the cleverly-employed industrial elements. Curves and geometric circles, splashes of colour, and full use of natural light give the H10 Cubik a chic individuality. The design themes are reflected in the rooms themselves, and this makes the H10 Cubik an appealing space in which to spend your down-time. For many reviewers, the hotel’s most memorable feature was the eighth floor terrace, which offers spectacular views across some of the most interesting areas of the city. 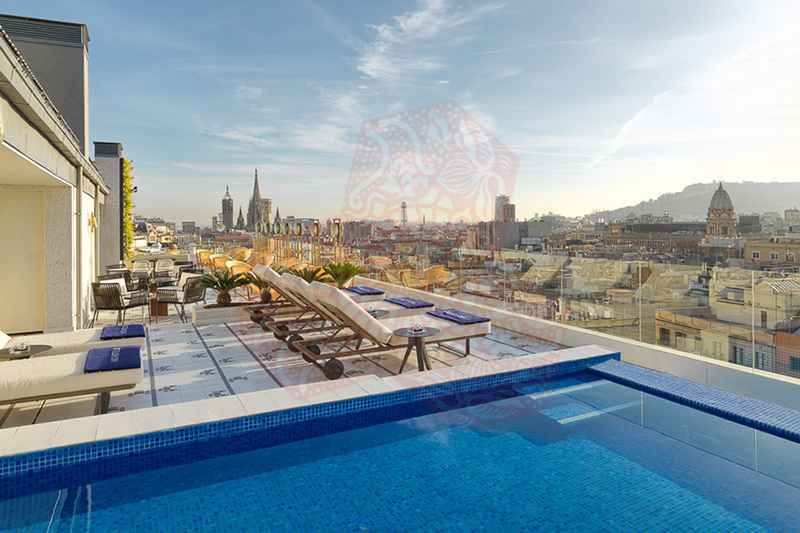 With a small pool and bar, the terrace is a wonderful place to bask in Barcelona’ s beauty as the sun goes down. The H10 Cubik offers a range of rooms according to your budget: Classic rooms are 21 m2 and face into the courtyard. Classic Barcelona rooms are a touch bigger at 22m2 and have views over Via Laietana or Ciutat Vella neighbourhood. Superior Barcelona rooms are a more generous 28 m2, with views of Via Laietana or the Gothic Quarter. For a little extra, rooms are available with a terrace; more expensive options include the Junior Suite, Junior Suite with terrace, and Suite. 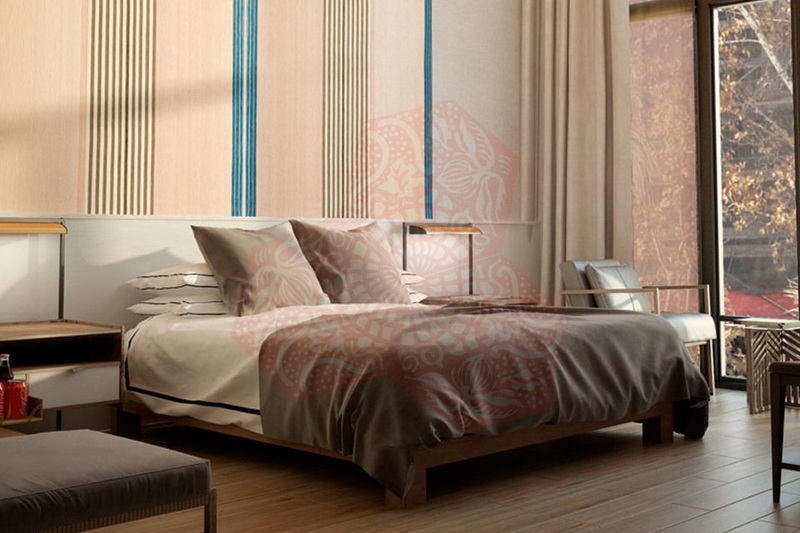 Rooms are comfortably and have been equipped with a nice eye for detail. Good bedding, big fluffy towels, nice showers, and high quality bathroom consumables add to the luxury feel. The rooms are air-conditioned and include minibars, 48” smart TV, Nespresso machines, trouser press, ironing board and iron, hairdryer, bathroom robe and slippers. As might be expected in a recently built hotel, the Wi-Fi is excellent. One real bonus is of the H10 Cubik is that the rooms feature very effective soundproofing. Given the hotel’s right-in-the-thick-of-it location, that’s really good news. For example, the modern glazed windows do a great job of insulating you from the busy street outside. Downsides to the rooms? Some reviewers found the smaller rooms a bit on the cosy side (though one commented that the ‘huge comfortable bed more than made up [for it]’. Also, as some rooms enjoy a better view than others, and looking into the courtyard may not be your cup of tea. With 101 rooms, the H10 Cubik is not a huge hotel, but it does have an appropriate range of facilities to meet the modern traveller’s needs. There’s a solarium, gym, two bars and a restaurant (just for breakfast). Some reviewers would have preferred a full-blown restaurant for evenings, but this hardly seems a significant problem with so much on the doorstep. The eighth floor terrace is equipped with sun loungers and a pool. Although don’t expect to work on your front crawl technique, as the pool is pretty small, however as somewhere to cool off in, it’s perfect. The hotel caters for business travellers, with three meeting rooms that can accommodate up to 190 people. Pleasingly, the rooms open onto a vertical garden. If you’re arriving by car, be aware that the hotel doesn’t have private parking. Many, many reviewers mention the H10 Cubik’s breakfast, and the praise is almost unanimous. With such a delicious and varied buffet available, you may find yourself wishing you had an extra stomach or two to hold it all. The kitchen will also cook breakfast items to order for you. Unfortunately, for the rest of the day, the restaurant is only available for private functions, and you will have to make do with snacks from the lobby bar. Service is undoubtedly a strength at the H10 Cubik, with helpful, professional, well-trained staff. Small but memorable free extras, such as a glass of champagne on arrival and bottled water in your room, help to establish the hotel’s welcoming feel. The H10 Cubik lives up to, or exceeds, its rating of Four Star Superior. With a central location, stunning interiors, attentive staff and a highly-rated breakfast, it’s a great base from which to explore the Catalan capital. H10 Cubik is located at Via Laietana, 69, 08003 Barcelona, just 200m from Plaza Catalunya, where the airport bus and tourist bus service meet, and many of the main sights are in easy walking distance. It’s close to the cathedral and Las Ramblas, with shopping, tapas and nightlife a stone’s throw away.